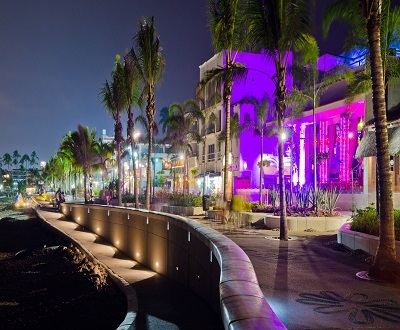 Consistently rated one of the friendliest towns in the world, Puerto Vallarta is filled with charm. Plan your luxurious destination wedding in Puerto Vallarta! One of Mexico’s highest-rated resort towns, Puerto Vallarta is nestled against the Pacific Ocean with stunning bay and mountain views. The area exudes traditional Mexican charm and is home to a number of upscale resorts that would exceed your destination wedding expectations. Snorkeling, diving and kayaking are worthwhile excursions, as humpback whale and dolphin sightings are common. In the nearby tropical jungle, you can also try more adventurous outings, like mountain biking, bungee jumping and zip lining through the forest canopy. In town, stroll the boardwalks to watch artists craft sculptures outside, or stop by the “Romantic Zone” for an intimate meal al fresco. For two citizens from outside countries to have a civil marriage ceremony, you will need to provide the following: original and copy of birth certificates annotated and translated by an authorized translator certified in the Spanish language and a valid passport. Death and divorce decrees are also required if applicable. Check with your Certified Destination Wedding Specialist for additional requirements and details. Visas are not needed for citizens of the US and a number of other countries. If you are a citizen of the US, visit travel.state.gov for more information on travel documents needed. For Canadian travelers, visit travel.gc.ca for relevant travel information. 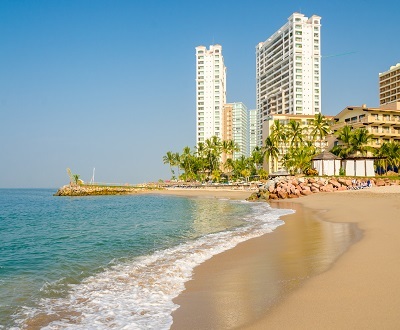 Puerto Vallarta is nestled along the shoreline of Mexico's largest natural bay and has palm-lined beaches with clear blue waters. Los Muertos Beach is one of the largest in town and has a great pier for people watching. 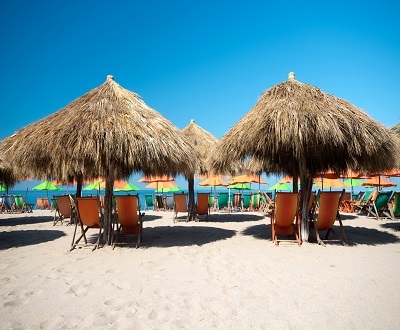 Pack a picnic for Garza Blanca Beach, which the locals enjoy in peace on the weekend. To explore the bay’s natural caves and underwater tunnels, be sure to check out Los Arcos National Park. At night, sunset dinner and yacht cruises are popular and there are dozens of lounges and clubs to keep you busy well after sunset. LuxuriousDestinationWeddings.com makes every effort to keep the travel information up to date on this website, however, resorts, wedding packages and laws do change and so we cannot guarantee that all information regarding rules, regulations, and marriage requirements at particular sites are completely accurate at the time of viewing. Before making marriage decisions on a particular destination, we highly recommend you speak with your specialist or wedding coordinator to verify rules at a particular destination before finalizing your travel plans.